So it’s the New Year. As a reader, you’ve seen every blog out there flaunt their “top posts for 2012!” Well, since there are less than 50 posts on this blog, making a “top 10 posts” post is a little ridiculous. For writers, wordpress sends us these snazzy year end reports to see how you are fairing in the e-world. And one thing is interesting in my summary. While the reader base is still growing, the most popular posts on this blog aren’t new. In fact some of the most popular content on here is from last year. This means that people are coming to this site as a reference for quality information. Or it could mean that the “tight pants” video I linked from Jimmy Fallon turned everyone off….. In any case, I’m not going to discuss the past, because there’s a search engine for that. 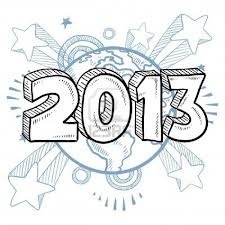 But looking forward, what’s planned for 2013? More help for you. 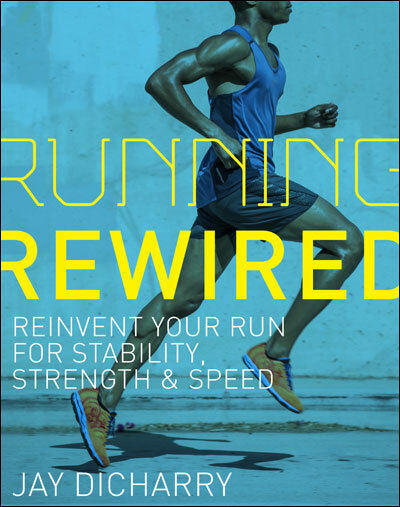 Expanded Focus on Athletic skill: My book has been embraced by runners, but its also been embraced by non-runners. 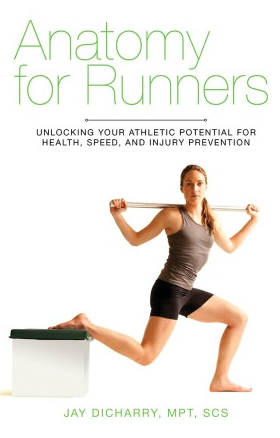 Every athlete needs to know how to keep their chassis in tune as they train their engine. Well rounded athletes recover faster from training stress, better prevent injury, and slow the effects of aging on your body. Better foundation = better performance. And a lot of it is just plain fun! More content on other sports: Guess what? No one knows everything. Looking at other sports can help you learn more about other training strategies and tricks that may help you. And if you are a cyclist or swimmer, you’re really going to be happy looking forward. And we are even going to discuss weights, strength, speed, and power. We are going to make you better. Current information: I’m speaking at 10 different conferences between now and August. I believe that knowledge shouldn’t stay in the hands of the teacher. I’ll be looking to post relevant new findings being spread around the conference circuit to help us all enrich our exchange of information. Video: A word is a word. A picture is apparently worth a thousand. Well, sometimes words and pictures still aren;t worth as much as seeing something in realtime. Expect to see more video content on here. So it’s the New Year. As a reader, you’ve seen every blog out there flaunt their “top posts for 2012!” Well, since there are less than 50 posts on this blog, making a “top 10 posts” post is a little ridiculous. But wordpress sends out these snazzy year end reports to authors letting them know how they are doing. And one thing is interesting in my summary. The most popular posts on this blog aren’t new. In fact some of the most popular content on here is from last year. This means that people are coming to this site as a reference for quality information. Or it could mean that the “tight pants” video I linked from Jimmy Fallon recently turned everyone off…..
More content on other sports: Guess what? No one knows everything. Looking at other sports can help you learn more about other training strategies and tricks that may help you. And if you are a cyclist or swimmer, you’re really going to be happy looking forward. We are even going to discuss weights, strength, speed, and power. We are going to make you better. Video: A word is a word. A picture is apparently worth a thousand. Well, sometimes words and pictures still aren;t worth as much as seeing something in realtime. Expect to see more video content on here. Warning: hair and make-up budget is zero dollars. Here’s to getting out of your rut, and exploring your world – Happy New Year!!! This entry was posted in cycling, rehab, running and tagged 2013, Anatomy for Runners, Dicharry, gait analysis, happy new year, injury, rebound physical therapy, running, running form, Running injury barefoot minimalist, speed clinic on January 2, 2013 by an athlete's body.